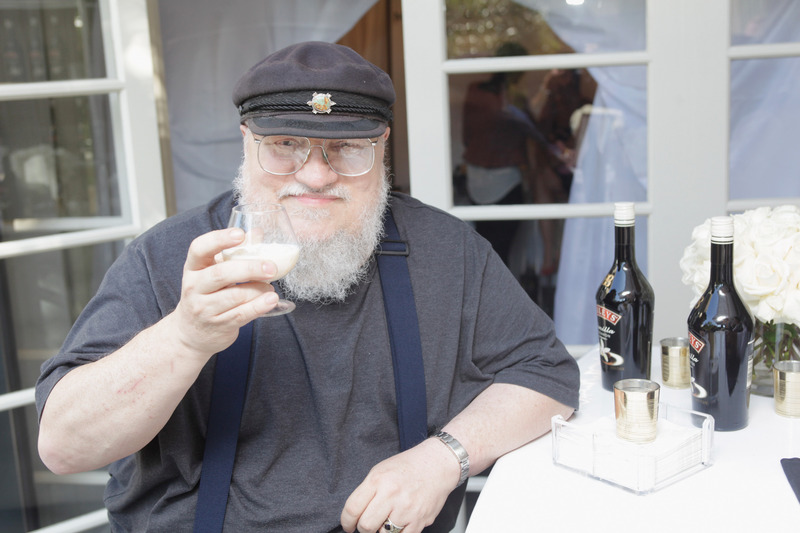 George R. R. Martin, whose series, A Song of Ice and Fire, is the basis for HBO's mega hit "Game of Thrones," doesn't like to mess with success. When he wrote the first book in his series back in the '90s, he used a DOS computer (that's a Disk Operating System, for you newbies, and it was common for most at-home PCs from 1981 until about 2000) — and he's stuck with it ever since. Martin went on Conan this week, where he told Conan O'Brien that he has two computers, one for business and one for — well — serious business. The more modern of the two is used for email, taxes, and, we assume, surfing the Internet to read Game of Thrones fan fiction for ideas. But the other one, that ancient DOS, is where he gets his writing done. It doesn't have Internet. It doesn't have spellcheck. He doesn't even use Microsoft Word, but opts for its crotchety old predecessor, WordStar 4.0. This means that his computer can't get hacked, he can't get a virus, and when he gets stumped, there's no Facebook to turn to or online reading to distract himself with. On Conan, Martin displayed a luddite-like attitude that's increasingly popular among today's writers, sick of internet distractions. "It does the word processing I want it to do and it doesn't do anything else," he said. "I don't want any help. I hate some of these modern systems where you type a lower-case letter and it becomes a capital. I don't want a capital. If I'd wanted a capital, I'd have typed a capital." Jonathan Franzen, another famous luddite, would have totally agreed with him. Franzen doesn't even like Macs, much less modern computers; as he wrote in his book The Kraus Project , "the PC 'sobers' what you’re doing; it allows you to see it unadorned. This was especially true in the years of DOS operating systems and early Windows." If you value a distraction-free writing system, but threw away your DOS computer decades ago, there are apps that mimic the experience of a minimal, internet-less computer. Martin and Franzen would probably roll their eyes at using an app to approximate what they grew up with, but you do what you have to do, right? Apps like SelfControl and Write or Die help you block your own worst tendencies, forbidding you from checking certain "blacklisted" sites that you've set ahead of time, and providing consequences for procrastination. If you're looking for a minimal interface, WriteMonkey and Ommwriter are both good options. And if all else fails and you're really serious about this writing thing, ask your grandparents if they'd like your flashy MacBook in exchange for one of their slow-moving '80s machines. They get a snazzy upgrade; you get to buckle down and write.